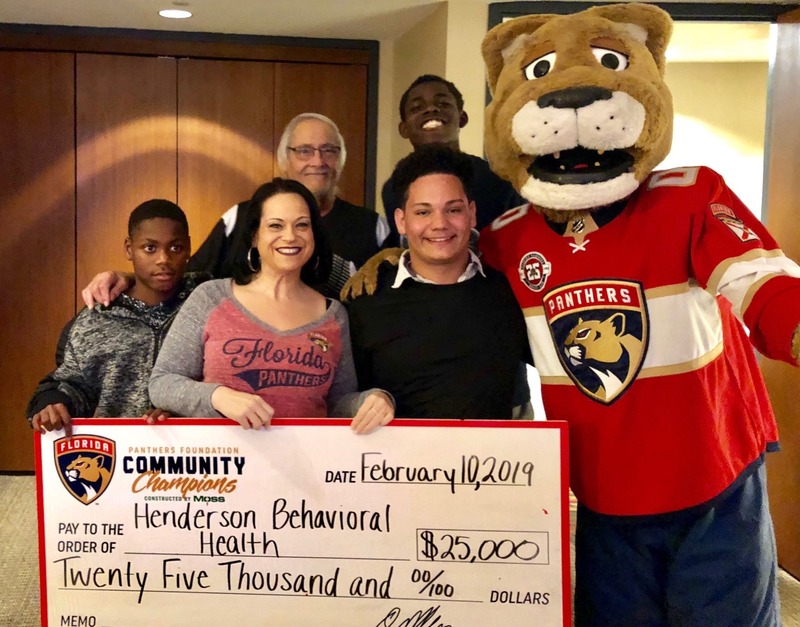 Henderson Behavioral Health receives $25,000 check from The Florida Panthers Foundation for Youth Mental Health First Aid Program. 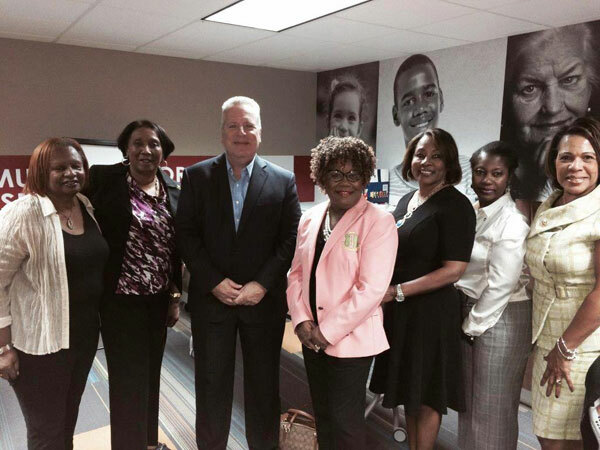 Pictured with Stanley C. Panther are some of Henderson’s group home youth and staff. 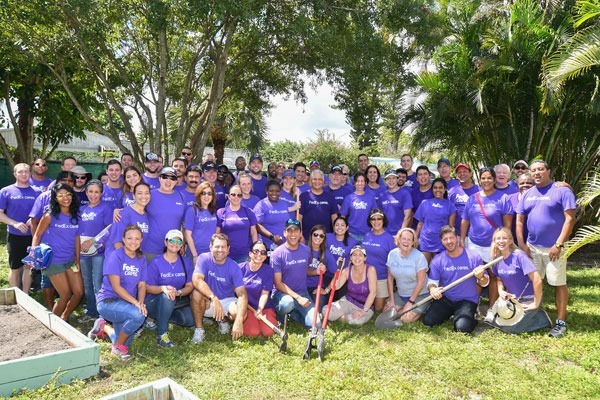 Approximately 70 FedEx Employees from Broward & Palm Beach Counties Domestic and Latin American Division participated in a “Done In A Day” project where they revived Henderson’s “Seeds of Hope Garden”, painting the group and dining rooms, created a garden supply room and reorganized the clothing donation closet. 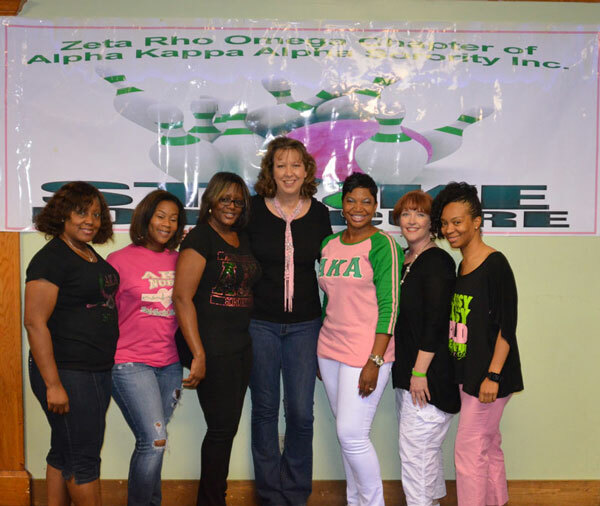 For the second year, AKA has chosen to support Henderson. 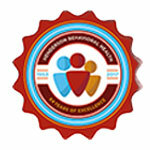 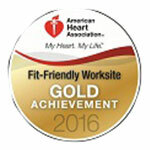 This year they partnered with our Healthy Start Program for parenting and pregnant Mom’s and their babies. 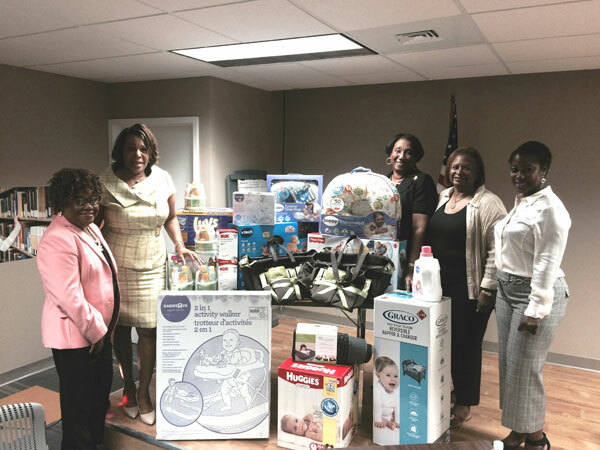 In conjunction with our Annual Baby Shower, the ladies conducted a diaper drive, presented $500 worth of gift cards and decorated picture frames for each Mom to place a photo of her and her child. 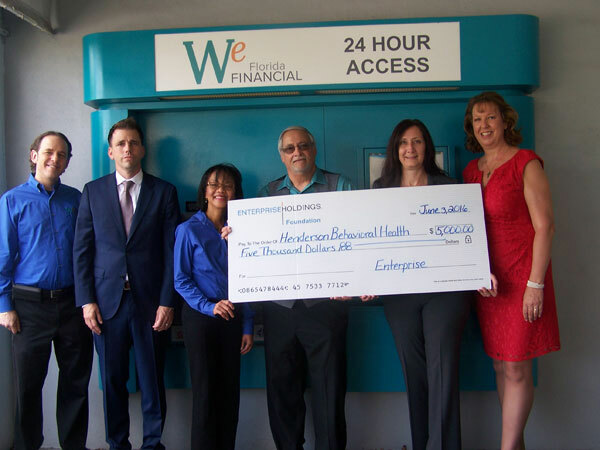 Enterprise Holdings recently donated $5,000 for our CHARLEE House Group Home at the recommendation of another community partner, WE Florida Financial. 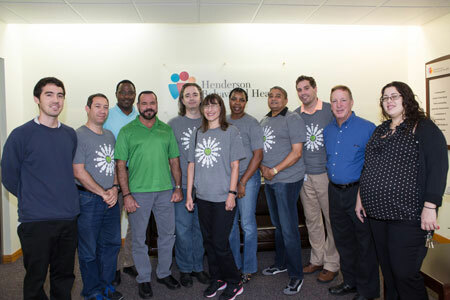 We Florida Financial has supported Henderson’s group homes for over 10 years with many donations and gifts for the boys at the holidays. 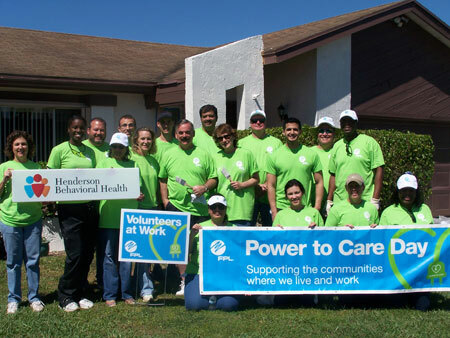 As part of their Power to Care Volunteer Day, more than 25 volunteers from Florida Power & Light helped to paint one of our youth group homes – CHARLEE HOUSE – for young men under the age of 18. 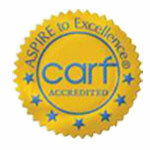 CHARLEE stands for Children Have All Rights Legal, Educational and Emotional. 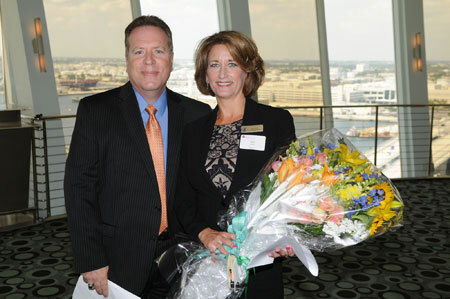 Dr. Steve Ronik & Ann Burris, Director of Community Relations for Holland America at Top of the Pier, Pier 66 Luncheon in April, 2014. 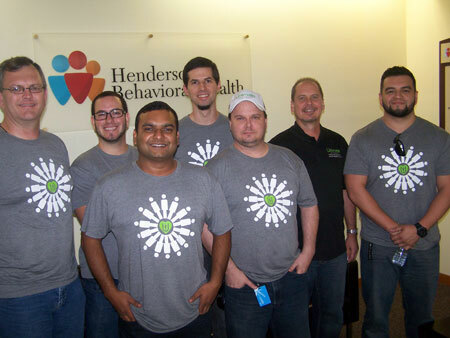 Approximately 20 volunteers from Ultimate Software spent the day at Henderson Behavioral Health to assist our IT Department upgrade 80 new computers with Windows 7 software. 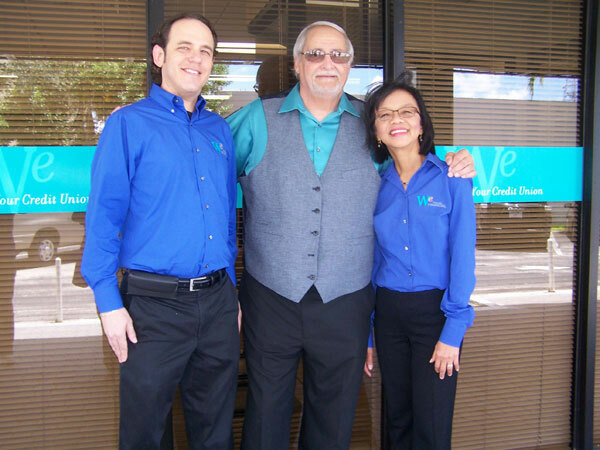 We are grateful to Ultimate for their wonderful assistance and partnership. 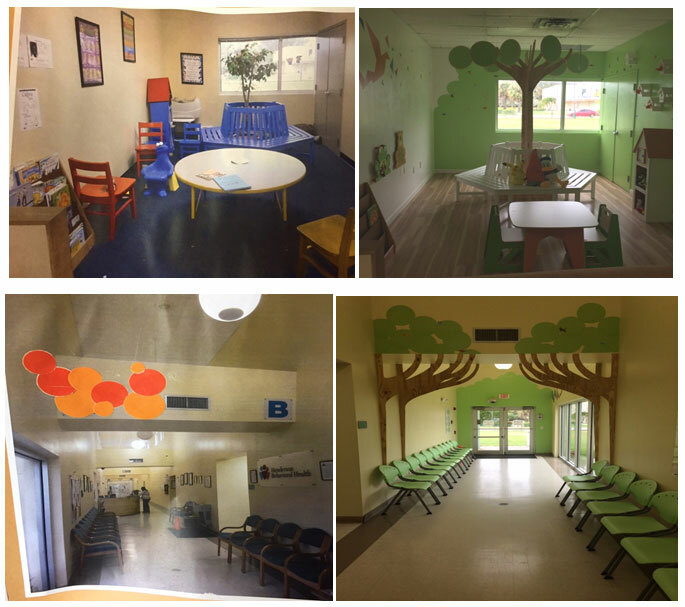 Henderson Gratefully Acknowledges the Design Students at North Broward Prepatory School Design under the Leadership of Ms. Shelley Weiss for their outstanding ‘facelift’ to the youth entrance and playroom. 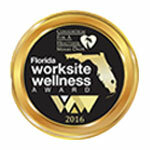 The wow factor is amazing and the new energy their design has brought is welcomed and admired by staff and visitors. 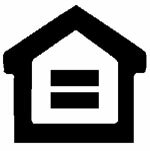 We would also like to thank Lumber Liquidators for generously donating the wood-like vinyl flooring. 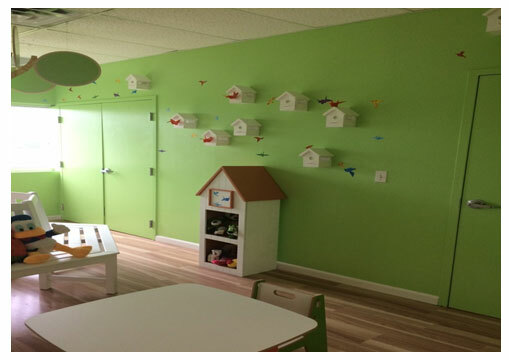 Lastly, thank you Scott Warrander and Floranada Floor Covering for installing the product and baseboard to finish off the Youth Playroom.